We're obsessed with feet. 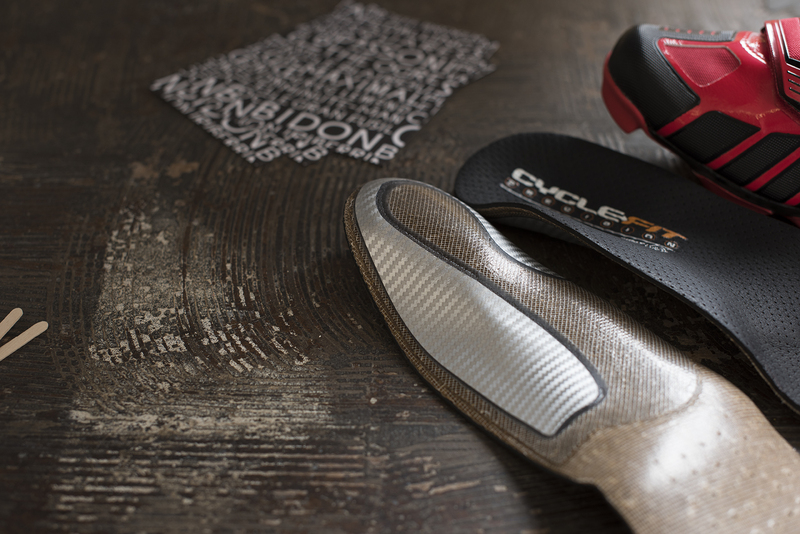 We know that a well supported foot can be the difference between a good ride and a great ride. A cyclist's feet - correct or reflect? 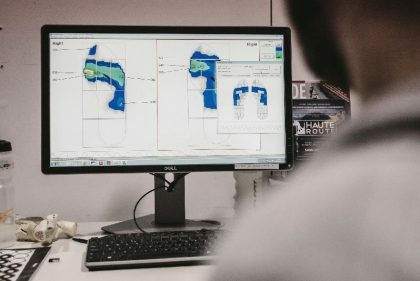 Cyclefit has always been obsessed with foot control; a well supported foot can improve power output, reduce injury, stabilise the rider on the saddle, and improve the pedal stroke. 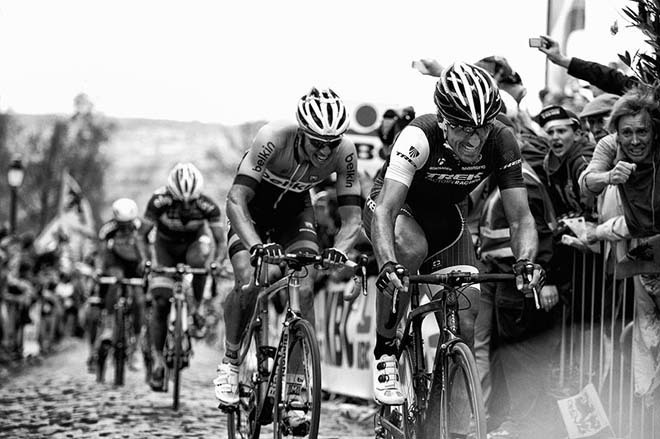 Our Footbeds are used by World Tour riders who demand the best from their equipment. Custom footbeds or custom orthotics? This is the crucial question. Broadly we split this into two approaches: reflective and corrective. A Sidas custom foot-bed will be moulded by a Cyclefit Technician and will primarily seek to reflect your foot structure and shape with any correction being fairly mild and gentle. A Cycling Orthotic appointment, on the other hand, will deal with specific structural issues with the foot and may well seek to correct the foot in the shoe. Our Sidas footbeds work for 90% of foot types and issues but for some cases an appointment with podiatrist Mick Habgood is needed. We have found over 14 years at Cyclefit that almost everyone responds positively to foot support in their cycling shoes. Many issues such as 'hot-foot' or knee-alignment, foot-stability and comfort can be assisted or corrected with a well made custom foot-bed. More complex issues, or long term discomfort and pain, will require an evaluation by Mick Habgood and a Custom Orthotic. The Sidas custom footbed is a highly personalised interface between the weight and power of your body, and the sole of the cycle shoe and pedal. A custom footbed can dramatically influence comfort, stability and power. Extra re-reinforcement can be added further to reflect an individual's foot shape. An appointment takes approximately 45 mins to 1 hour for one pair of fully custom Conform'able inserts, and you can get a 10% discount on a second pair using the original mould. Please bring your cycling shoes so the original footbed can be used as a template. The Sidas footbed can be incorporated into other appointments i.e. a Cyclefit or Shoe & Cleat set-up so please contact us for more information. Mick is an Australian-trained Podiatrist – BHSc BAppSc (Pod) MChS Biomechanical Podiatrist – who specialises in treating bio-mechanical and orthopaedic injuries of the lower limb. His interest in cycling-specific podiatry followed a long professional collaboration within the European ski industry by addressing the performance issues and the unique injuries of elite and recreational skiers. It was the techniques learned from optimising the “static foot posture” within the rigid ski boot that ultimately lead to his initial involvement with CycleFit almost 6 years ago. Price includes initial assessment, fitting and pedalling dynamics assessment. Appointments are available from 8:00am until 8:00pm Tuesdays, 8:00am until 1:00pm Wednesdays. The initial assessment and casting takes 30 minutes. Collection is three weeks later and you will need to ride on your own bike or use our Fit Bike so the orthoses can be fitted in your shoes and tuned for even foot pressure, comfort and support, please allow 45 minutes for this session. Please bring a pair of shorts and your cycling shoes for the initial appointment; for the second appointment please bring your full cycle kit and shoes. A cyclist's feet are the most forgotten and neglected part of their bodies. We shove them into often ill-fitting cycle-shoes, then proceed to transfer all our power 13,000 times (on an average 2-hour ride) through a surface area little bigger than a couple of first class stamps. As a consequence hot-foot, pain, cramps, instability and power-loss are all too common. We all have very distinctive feet, consisting of 28 bones (our feet have 25% of the body's bones in them) and 27 muscles, controlling 33 types of possible mobility. And whatever is happening deep within our shoes, in our feet, has a massive chain-reaction all the way up our bodies. How we walk, sit, stand and therefore pedal, starts with our feet. It is virtually impossible to achieve a powerful and efficient interface with the bike until the feet are stable and comfortable. Our feet are the foundation of posture, good and bad. A cyclists feet have very little self-correction opportunity as they are tightly strapped and ratcheted in to a stiff shoe clamped to a fast-turning lever. No wonder so many of us feel that our feet are unstable, or constantly shifting for position. Fabian Cancellara rides to victory in the 2014 Tour of Flanders using Cyclefit custom Sidas footbeds. "Hey Julian and Phil, I hope you are both well. I just completed a 21 hour week on my new 165mm cranks and I am in love. They feel so so great! Thank you for all your help. I’ve never felt so comfortable on my bike before. All the best, Hannah"
"A great service, full of personal touches as well as the "harder" scientific analysis of my position on the bike, which was also excellent. I feel more planted on the bike now, and came away with some really useful feedback from the session." "I tried the shorter cranks today and I like them - it feels like it's less stress for the back and it seems easier to ride higher cadence. In the end I had a good Tour with no back problems. Thanks for your help!" "Very very personalised service. You arrive, they expect you, greet you by first name, have checked your file from past visits and set out very clearly what the process will be, what issues they're looking to address and how and they are happy to take the time to walk you through everything in layman's terms. Almost any professional service entity could learn a lot from how Cyclefit works. " "I had my second fitness test this weekend and on the first 8 minute time trial I'd improved average power output by a whopping 41 watts over the previous test. This is almost entirely down to the new position!"